Are you an INFJ? Do you often feel lonely or misunderstood? INFJ is the rarest Myers-Briggs personality type accounting for less than 2% of the population. Because of this, we often feel as though many do not understand us. While there is a lot about us that we would like you to know, here is a list of the Top 10 Things Every INFJ Wants You To Know. As with many other Judicial personality types, the INFJ enjoys structure and order. Though our intuition can cause our structure to fluctuate, we still thrive best when we can plan out the details of our situations and lives. Sometimes, however, spontaneity can occur outside of our control. This deeply shakes us and we often respond to this loss of control with anger and frustration. While some introverts can be all by themselves for every second of the day and feel nothing but contentment, an INFJ needs to be around people. Though we still need time in solitude in order to recharge ourselves, too much time alone can leave us feeling drained, lonely and depressed. INFJs thrive on the emotions of others. We live for bettering others to better ourselves. We cannot do this if we are always by ourselves. When an INFJ does not have a close relationship, they can became depressed and feel empty. INFJs are never happy with ourselves. No matter how much an INFJ has improved, there is always room to be better. Often times, we can struggle with reveling in our accomplishments since we continue to focus on where we have fallen short and how we could have done better. It can sometimes frustrate an INFJ to see others complacent with their current selves. While many INFJs can practice and put on a good show, most of us struggle with social norms and routines, especially if we see little use for them. Since, as mentioned before, we find it difficult to put our thoughts into words, we can feel uncomfortable being in situations that cause us to interact in a spontaneous and shallow manner, such as meeting someone new. Even if the description of an INFJ does not fit us 100%, it still usually offers us a lot of information for which we have spent the majority of our lives searching. Those four little letters can be life-changing to an INFJ. This is such a great list! I'm an INFJ, and one that rings especially true is "4. Our label means a lot to us." It was such a relief to learn I wasn't a "weird" human — I'm a perfectly normal INFJ. Your number 4 is brilliant! i am very happy to read your number 4 🙂 i often feeling very weird about myself for the no.1, but now i understand it better and feel comfortable about knowing it. it hurts a lot to know that not all people is going to like you and you know about it…but now i feel seriously better. thank you! 10, 9, 8, 7, 3, and 2 are things I have found myself thinking about myself too many times to count. I'm so glad I came across this. I have to admit that the way my brain works is feeling more like a burden than a blessing at the moment, but it's nice to know that I'm not the only one with an overactive brain and excessive emotional perceptiveness 😉 I'm excited to go read through your other posts. #4 & #1 hit the nail on the head. The number 4 is particulary true for me. All of them are true! Since I found out what I am I don't feel so bipolar and awkward anymore. Its just who I am. Great list thank you! I am an (E)NFJ and this describes me perfectly except of course for the extroverted aspect of things (I am energized by other people's energy so long as it's positive)…, my best friend on the planet is an INFJ and it fits her perfectly too. The reason we've been best friends for 22 years, is because we are a perfect combo of the E and the I — with NFJ sealing us as soul mate type of friends. Thanks for commenting! I've heard that an INFJ/ENFJ duo can be an unstoppable force in the world! And it's great to find another Christian Unschooler! I am on Twitter but I am not active at all. You can, however, find me at my Facebook page as well as on Pinterest. I hope we can connect more in the future! Great list! #1 and #10 are my faves. I am a planner…no, like a real planner LOL. I am an event/meeting planner by trade although I went to school for communication and journalism. I feel very connected to my inner conscience and have learned to always allow my intuition to guide me. It has never steered me wrong. brilliant list… the only thing I would add on a personal level (may not be true to others) is that because I am so emotionally sensitive I fear opening up to others. I fear that because I seem to think so differently to almost everyone else to open up is to risk ridicule or worse. Thank you… this was a very enjoyable read, as many of the points fit like a glove. For me, #1 was spot on… I can sit in meetings, looking around the room at the other participants, and intuit what everyone is thinking, feeling, strategizing, what their agendas may be… I learn far more that way than is possible from any dialogue. I am an INTJ who is in tune with my "feeler" side, so most of these points were right on! Great article! Whoever wrote this has been spying on my brain. Bang on! All of these hit hard, but 1,7 and 8 are the hardest for me. I DO only need one person, but that person isn't always available. I get squirrely if I spend too much time alone. And I pick up so very many non-verbal clues from all over the place, I think that's what my intuition is. That, and if I let an thought or idea stew in the back of my head for a few days, I'll come up with a complete and well thought-out sounding answer/idea. But no clue how I got there, LOL! I totally identify with all of these except maybe #3 Open-minded. I think us INFJs might feel too confident we are right most of the time, so not sure about this one. Most of this was spot on. I am totally infj and have struggled with feeling very alien my entire life. Small talk IS awful. I do have an insatiable desire to help people. I am on a continual quest for self-improvement. The Iintuition thing too- ifeel like I can look at A Person and know exactly what they are thinking or feeling. Or even know a lot about someone just from a photograph. Also, that I am also always at that 'deep' level and thaf make small talk and acting 'normal' difficult. I thank God he gave me a sense of humor to offset my heavy personality. I believe our type is special and close to God's heart. He put us here, with empathetic hearts yearning to help and unique emotional insight, to reach out in a world where there is so much hurting. I know it can be a burden at time… but we are fearfully and wonderfully made. What a relief I'm normal……….! As I read this page I was almost in tears. I never thought even other people of my personality type could understand me so well. I am a homeschooler and am so grateful to have been, the ability to choose how much I am around people is invaluable to me instead of being forced to be with people in public school. My parents are both INFJs and they have the best marrage I have ever seen, in almost two decades I have never seen them have a serious fight. I have one brother who is an ENTJ, it took many years but I have an amazing relationship with him. For the first 14 years of my life I would find someone who I thought could be a best friend but always it just never quite worked out and I was forced to move on. Then I found someone who is very close to me character wise, and I hope to be best friends with them for the rest of my life, I talk to them everyday and when I do I can deal with almost anything and have the engery to work hard to enjoy myself and be myself in groups. I still am not at the center of attention and still hate chit chat but because of one friend who understands me I feel I can take on anything. I agree with everything anonymous said on September 24th. I too have an overwelming desire to help people and I get so upset when I realize I can't help some people. Sometimes I just know something is wrong with someone but I can't do anything without creeping the person out. I thank God he made us who we are and I pray we all remember that no matter what it feels like we are not alone and even if someone in our lives does not understand us. there are others in the world like us and there is God who understands all personality types and with his help we can have the courage to be ourselves in a world that thinks were just weird. Sorry I didn't mean to preach. I would say something here like I hope we all can do something great with our gifts as INFJs but I know we all hate being the center of attention so I hope we all do something great behind the scenes which only a very few people will ever know we were responsible for. Thank you.. so much, I've known I was an INFJ for awhile now and reading this just makes me feel normal and accepted. I had tears in my eyes reading this. Hi, I'm a typical INFJ as well. I wonder if there is any correlation between INFJ and Bordeline Personality Disorder? I've had Borderline, and my biggest problems were my strong feelings overwhelming me and how I got affected by other people's mood ans was completely unable to concentrate on my own well-being. This seems very connected to INFJ-personality, doesn't it? The reason at all till why I got ill and still suffer some difficulties is my high standards. If I don't get 100 of 100 on a test I feel I'm worthless, and if that is connected to how my brain works, will I ever be able to get over my performance anxiety? To be able to feel I am good enough and be satisfied with my work? Of course a lot of other personalities get Borderline, but is it overrepresented among INFJ:s? Or any other mental disorder that concerns feelings, moods and sensitivity? I would agree with a correlation between INFJ and Borderline Personality Disorder. Reading this I am a classic INFJ and i have been given a BPD diagnosis. It's hard, I wanted to cry reading this. I'm not the only one, the hardest thing is feeling everyone else's emotions and trying to separate them from my own. Acceptance is all i want as i know most people will never understand me. I am 44 years old. A mother of four. Homeschooled my children. Ballet teacher. Married for 20 years to a man nearly a decade older than myself. I am a writer. I have struggled my entire life – wondering what in the world was wrong with me. Sensed I was different than most. Always feel like an outsider but never willing to let many in. Love being in my home. Love my family. Love my husband. Love being a mother. Love being a stay at home mom. Love my parents tremendously. Fiercely loyal. Despise dishonesty. Cannot tolerate a disloyal or dishonest person. Took the test. Discovered I am INFJ. Never felt so relieved in my life. Now I understand everything. #4 is absolutely legit. All my life I felt like I didn't belong to this world, that nobody was like me or I was not like anybody else. I never understood why I felt constantly conflicted by what I aspired to be in my head and what I actually was in the physical world. I always felt a terrible yearning to change the world for the better that never matched my abilities to actually say or do anything about it. I never understood why I could so easily spot insincerity and dark motives of others and yet nobody else could see it. Nobody who really knows me can grasp my complexity, least of all myself. Last week I found out about INFJ personality and it was like a massive fireworks display going off in my head – as I read about the INFJ personality type, for the first time in my life I felt that somebody understood me and that I was not alone in the universe. I have yet to find a way to make my internal psychological/philosophical/moral/religious/idealistic life align with my physical actuality and my work in life…but now I know that I must seek this until I find it and there can be no rest until I do…this is the only way to find fulfillment for me. 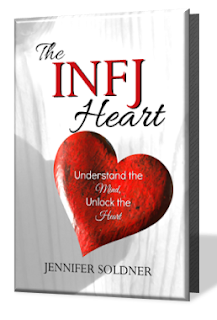 Discovering the INFJ personality type and understanding it, and more importantly feeling like I am understood and that I am not the only one has brought huge healing to my heart, and new courage to find my calling and destiny in this world instead of simply suffering a dull and painful "adequate" life. Adequate is fine for 98% of people, but not for me, and now I know that I am not the only one in the universe who experiences the internal conflicts that I do. David, your post really resonated with me in that it echoes what I have been feeling. The language you use is spot on. I’m currently in the perfect storm of “phase 2” of my transformation. I feel like my mind has expanded and I’ve come to understand a whole new awareness that is too complex for others to grasp and connect with what looks like very unusual behavior of mine to them (midlife crisis kind of stuff). My fireworks happened tonight when I stumbled upon his site. The damn of suppressed emotion (“no one understands what I’m experiencing! “) and relief that I’m not the only alien on this planet broke and it’s still breaking bad. Your post is almost 3 years old but I felt compelled to reply to you. I’ve had an amazing transformational experience tonight. I feel like I found my family, my long lost brothers and sisters who I know will understand me when the rest of the world doesnt. I’m so relieved and thankful. This is just the therapy I need. I am curious to know, David, where your journey has taken you these last three years. All the best to you. I completely agree! As soon as I found my label, I researched everything about it. #9 especially was a great relief. I am always unable to articulate my thoughts and it frustrates me to death because I have so much going on in my head and I can't get it out. I have begun to just start saying " I don't know." to any question I'm asked because I will never be able to say everything in my mind. And when I finally know how to express myself, the person isn't there to hear it. I know I am always thought of as the slow student in my class and it is very frustrating. But when I found out my personality as an INFJ, I was overjoyed. I could finally understand everything about myself. Everything made sense and I no longer feel like an oddball. I am instead a limited edition of some of the most colorful people. I'm only 16 and I have already had such a relief to know this because I can finally make sense of everything and it is clear as day. I'm not going to ramble on, but for anyone who wants to get to know me, I am going to show them these articles on INFJ. Also, one of the things I learned is we often show our feelings for people through a sort of humor. I know it sounds cold, but I almost never tell the people around them how much I love them. Instead I tell lots of jokes, poke their buttons, and I hope they understand this is how I show my love for them. I wonder if thats true for other INFJ'S. So true. I am an INFJ. When i am able to help anyone in need, my eyes are filled with tears of joy!! I cannot express that feeling. Money is no where in importance but only the love of people matters. INFJ – I am really enjoying the blog. Thank you. Hello fellow INFJ's.I found this very late in life.I am truly at peace. So many years of beating myself up. I have some traits of borderline and have been pumped with antidepressants since I turned 18. After researching about the INFJ profile, I have worked out why certain situations have manifested themselves in my life and have felt completely misunderstood. I don't believe I need pills to help me anymore after understanding about the INFJ profile. My brother – an INTP – has borderline personality disorder, as does my Dad INTJ. BPD can be inherited from family members. Maybe there is a correlation between IN's? It's strange but I think my most happiest was as a student when I worked as a carer for the elderly. I could freely be warm and caring to vulnerable adults who needed me. It was the best job I ever had. This explains so much for me as well! I also have BPD, but was given the INFJ label years ago and forgot about it until I started working at a career center where I help people find jobs. I'm still an INFJ, I think even more so than I was then. #8 explains why I hate Facebook and social media! I have accounts, as I don't want to be disconnected with the world, but the thought of having to keep up with every person I've ever met often overwhelms me and it is not fun for me like it is for other people. Others probably don't feel the same obligation and guilt that I do if I don't keep in touch with everyone and sadness and feel rejected and left out because of it, even though I really prefer being by myself or a couple of close people. I am perfectly content spending Friday night sitting at room watching TV or doing something with my roommates, but I often feel guilty as if I "should" be out enjoying being in my 20's and going out and meeting new people. But that is not enjoyable to me at all. That is stressful and a lot of work. I much prefer me and my girlfriends doing spa night or a even myself watching a movie or reading by myself. I have to say, as an INFJ, I do well being around a few people for a limited amount of time each day. The intuitive/empath part of me needs those people to be positive energy types. Negative energy people or those going through an emotionally turbulent time are quite difficult to be around. I don't do well with what I call emotional bleeders. I do a lot better around people who are emotionally contained. As for feeling misunderstood, you hit the nail on the head. An INFJ child with linear, non-intuitives left its mark. To this day, I struggle also with too much stimuli. TV OR conversation. Conversation OR radio. Conversation OR TV OR touch…but anytime there are three points of stimuli or more, I'm likely to lose it and shut down or react in anger. This may be stretching your expertise, but what are your opinions on INFJs in polyamorous relationships? I actually don't have any experience in this area but am interested to see if anyone else does. Hopefully some others readers may see your comment and be able to help! Thanks for commenting! I am in shock and relieved at the same time. As I write this, I am on the verge of the end of my 15-year relationship. Here I was, ready to mark my problems down to unhealthy behavior patterns, but now see could all be a result of my being an INFJ?! I can't get my head around it, but everything about it makes sense. And yet, I can't believe it. As An Anonymous INFJ states: "In my experience, the most misunderstood part of an INFJ is how we feel everything those around us feel. We do not sympathize. We do not empathize. We literally feel exactly what you feel. Even if you are trying to hide it or don't express your feelings, somehow we still know." I wish people would understand that about me…i can really understand a person very well and i can help others get better,but i also cannot be lied and i detect lies very easily,and when i see someone lying or hiding something from me,i immediately go into my shell…maybe that's why we are so introvert,because we read people so well and have a tendency to see exactly what isn't ok with them and how their weaknesses could hurt us..
Reading about myself helps flush all this chameleon effect stuff down, so I can better see which are my emotions and which are just feels from other people. Not that I mind its just confusing sometimes. I read about typology when I was 12 yrs old. I couldn't really understand it and I just kinda forgot about it. Thirteen years later, I started to believe I'm the crazy one and I might need some help. After reading all these, including all the comments, now I feel like I can survive on planet earth even with all my quirks. Thank you. I'm glad I'm not the only one who often feels misunderstood. Whenever I feel that way, I tell myself it's a juvenile feeling and that I'm not a teenager anymore (haven't been in over a decade). Knowing that I actually am misunderstood (being a rare personality type) as opposed to self pitying, makes me feel better and more comfortable with myself. The knowledge doesn't help with the loneliness, though. I am an INFJ… 4 didnt really ring true for me being one who never really cared to be "normal" but number one make me jump up and down because I've tried to explain it people that I just know how they feel and people never understood. (number 9).. I am glad that there is someone else out there that understand that we just know and dont know how we know. 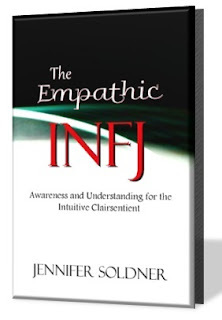 "INFJs are introverted thinkers and extroverted feelers. Because of this, we can struggle to articulate our thoughts." Also, even if Introverted Thinking _were_ the first function, that still would not justify the claim that "this type is very intelligent." The Myers-Briggs inventory is a self-report inventory and does not involve any standardized method of assessing intelligence. Similarly, function tests (like Darios Nardi's) are also self-report and are not equipped to actually measure the extent to which an individual uses that function as well as they claim to. So, even if we could determine statistically that certain functions were related to qualities associated with intelligence, we still would need to develop a radically different measure of assessment to determine the actual degree of mastery that the person possessed. I completely agree with everything you have stated though I think you misunderstood what I have said. I did not say that introverted thinking was our primary function, I just stated that we are introverted thinkers (I didn't feel the placement was relevant for the oversimplified point of which I was trying to make). I agree that our dominant Ni function plays a large role in our struggle for self-expression especially when paired with Fe. The combination of our functions is what makes most of these statements true (as is the case with all personality type traits). I don't believe we can pin point any personality's traits to a single function. I was merely simplifying the point for those who are not as familiar with functions as a whole. As for your second point, I never claimed that INFJs are of greater intelligence than any other type. I was simply debunking a misconception which, as with all MBTI traits, is not across the board for every individual. Of course there are INFJs of varying IQs, but I wanted to point out the error in the assumptions made based on our general inability to articulate the bulk of our thoughts. I apologize if you misunderstood my points but the purpose of this article was simply to scrape the surface of our personality type. Thank you, however, for sharing further thoughts and resources for those readers who are interested in delving deeper into the specifics of this type. Thank you. Thank you for writing this. I loved every point. I have always had such a hard time explaining my way of thinking and feeling things. I used to feel so very lost and articles like this help the people in my life to see what's happening. I can't thank you enough for writing this…and by the way. It's dead on. I read some of the comments that were offended by what you stated. I have a hunch they may not be INFJ. I will be sharing this and I encourage you to write more in regards to this topic. As an INFJ I am very impressed with this description! All of these describe me perfectly. Sometimes the intuitive part of me (#1) scares people and I get a little bit of sadistic pleasure out of it and then of course feel extremely bad about it and beat myself over the head because of my drive for perfection. Being a Catholic, my aim for perfection is even more driven than most people and every time I commit a sin, I feel extremely guilty because I'm not perfect. Thank God for Jesus! Last thing, I find that if I talk through my feelings and knowledge about something (#9) with somebody, I come to the conclusions I couldn't come to even on my own! Thanks for this! This article is fantastic. Especially #1… except for one thing. Growing up in an abusive household, I learned to shut out the emotions of others; because of this, I don't "feel" the way I used to. But I'd like to be able to regulate the degree of other's emotions that I feel instead of totally shutting them out… any advice? I'm INFJ too, and while I don't have BPD, I've read much about it & am oddly fascinated by it. I actually found out about it when I inadvertently made a character I wrote for a story exhibit many traits of BPD. It was a pretty "whoa" moment for me. I do have inattentive ADD though, and that's brings up a bunch of interesting thoughts and challenges. Pretty sure I inherited that from my mom. Thank you! Especially after reading number four and laughing at the fact that yes, I might be "different" than the rest and regarded as "alone" when it comes to some of the standards of today's world, but I not when it comes to my fellow INFJers… Can truly say my whole point of view of myself and the world has changed since my discovery! I revel in this! WeINFJs intuit many things which are difficult to put into words. That's why I love classical music; it expresses ideas that cannot be expressed in words. Yes. I can 'read' a person, take in the whole of who they are, very quickly. I try to hide this from them, so as not to upset them, & control my outer affect so they don't realize that I can see 'who & what they are.' I give people the benefit of the doubt. I used to feel angry that I am so considerate of others, but they are not of me. I have been able to come to terms with this somewhat because of reading about the different personality types. This helps me be more accepting of people's behavior when they are are not accepting of me (as I am of them). A very perceptive karate teacher(he was probably an INFJ), told me to trust my intuition when sparring because it was very good. Number 1 was startling for me to read, because it explains exactly what I learned about myself when I became a phlebotomist at a lab; "We literally feel exactly what you feel. Even if you are trying to hide it or don't express your feelings, somehow we still know." I was told that the patients felt very much at ease around me. That is because INFJs give people the benefit of the doubt & try to understand them. I think that is why they make good counselors/psychiatrists. Being a perfectionist is the most difficult aspect for me because I never feel satisfied & I am very hard on myself. I need to feel that decisions are made, but my perfectionism makes that difficult. I wish I was a different personality type; life is difficult as an INFP. However, listening to classical music is extremely rewarding; I can feel things that most people cannot when listening to it; Schuman's 1st piano concerto had me in tears. I grew up in an abusive household and did some 'shutting out' of others emotions as well. I've learned to put a 'label' on what I was feeling. I started calling out what the emotion was and started thinking through why I might be thinking that way. It took a few years of this before I felt competent enough to start dealing with other peoples emotions. I also needed to set up some boundaries-allowing others to own their OWN emotions instead of taking it all upon myself. THEY are in charge of themselves. I now run a womans group, so all the labeling of my own emotions and helping others to process their own has helped. Give yourself time to heal. Don't be in a rush. Life is a journey. The in-betweens matter just as much as the final product!!! "I believe our type is special and close to God's heart. He put us here, with empathetic hearts yearning to help and unique emotional insight, to reach out in a world where there is so much hurting. I know it can be a burden at time… but we are fearfully and wonderfully made." I cried reading this. As an INFJ, I often wonder why I feel too much of what others feel, because the pain can be unbearable especially when I can't do anything to help. I honestly do feel like it's a burden sometimes… but thank you for putting it this way. It makes it all worthwhile. God bless. So true, all of it.. And #4 really went straight to my heart. I'm 22 and recently knew about mbti and infj.. My most significant discovery yet..
Lovely lucid intelligent article. I am an ENTP and have finally found an INFJ who is now my GF. I first learned about INFJ's when I hugged one 12 years ago and felt I was falling into a cosmic abyss. I had a crush on her for 10 years after that hug, but she was only comfortable hiding herself which was enormously frustrating to me. On the odd occasion that she did make moves on me my reaction was (although I was potently attracted to her) like "what are you doing we have not even talked ?" (I mean REALLY talked). Two little themes in my infatuated state about her now re-occur to me; "twinkle twinkle little star how I wonder who you are" and the ugly duckling who discovers he is a beautiful swan. it is strange to understand so little yet, know so much. i took a psychology class recently and discovered my title. i have yet to discontinue the research for answers because i only crave more and more. It is pure serendipity to have come across this, i am glad i am not alone here. I discovered I am an INFJ a few years ago. I believe it was one if the most rewarding moments of my life. To learn that we are rare confirms what I always felt. I can agree with everything listed above.Most recently I have discovered I get physical symptoms when I am around many people. I used to think I was just coming down with something. But now know the empath in me is sensing the emotions of others. Some days it is so overwhelming I have to be alone and recover. On a positive side as a person who prays I use this as an opportunity to ask God for help for those around me and for strength to hold this gift with His protection and wisdom. I am so glad to find you!! I only discovered during the past year that I am truly an empath. I'm not entirely sure what that means, but I am so eager to learn. I have tested as an INFJ consistently every time I've taken the Myers-Briggs over the past 20 years, so I guess I'm an INFJ. And, to top it all off, I qualify for MENSA membership. (I don't pay dues and I'm not an actual member. I only joined one year during college to apply for their scholarship.) I have the misfortune, though, of having experienced severe child abuse during my childhood and adolescence. I felt very rejected, even despised, by my parents. I already felt "different," but having no love or kindness or nurturing caused me deep anguish and pain, and sent me spiraling into a lifelong struggle with depression and even self-loathing. I have worked so very hard in therapy to try to move beyond the abuse, but because I feel things to deeply, I am still–to this very day–practically decimated whenever I see a child anywhere, on TV, in the news, in a public place, being abused or mistreated. I cannot stand to see an adult be cruel to a child. For any reason. There have been children being abused in public and I would step in to stop it. And then I would go home, or to my car, and weep. Just weep and cry and hurt inside as if my heart was literally going to break. I don't know if I was picking up on their own hurt and fear and pain, or if I was reliving the pain of my childhood. I often wonder and think about those children, even the children from years ago. I can see them as clearly as if I'd seen them yesterday. And I pray for them. I have prayed for some for years and years, even though I had no idea who they were. But I still see their sad little faces, their eyes filled with terror and fear. I still see them. Maybe because I'm an empath? I don't know. But thank you for your site. Thank you so much. I have always felt so alone in this world. So alone. Having a true psychopath for a parent, and a narcissist as your other parent, is a very difficult and painful ordeal for any child. I wonder if it isn't especially hard for the INFJ child. I am so grateful to read the comments here, and to realize that there are others like me! Thank you. The point about only needing one person is so true. My whole life I've felt like a freak for only really needing one other true friend. I seriously thought I was anti-social and only recently discovered that I'm an INFJ. However, although I love my solitude I do get jittery being alone for too long and really am a social creature even though small talk does make me a bit frustrated. Amazing, how after all of these years I'm reading such accurate descriptions of myself! Thank you SO MUCH for this… I'm 41 years old and only recently tried some MB tests because a friend suggested it would be interesting to do. Reading this left me in tears of profound relief… As someone mentioned: I'm not broken, or a freak, or weird… Just a typical INFJ. I'm directing my close friends to this article! It is an incredible empowering to find out that I'm not alone, and there are others who think and feel the same way. Truly, this article is a blessing! I love all of your points! I especially love your number 4! I'm was literally thinking was wrong with me all the time. But I learned that I was an INFJ, and now I understand a lot of who and what I am and why I think like I do. It's so awesome. Thanks! God bless! Thank you so much for this list it has helped me realize that I'm not alone. All the points that you have listed, seem like they were written in reflection of me. I don't think I'm saying anything different than everyone else who has posted. I do feel compelled to share with the group that this has been extremely helpful for me to understand why I do what I do and why I feel what I feel. As an INFP, I've always live life thinking that people don't believe me and don't believe my sincerity and no one really understands me. 4 and 9 really spoke out to me. And while it might seem like we need to live our lives pleasing others…i am okay with spending the rest of my life caring for those who truely mean the world to me. I do feel like this was written for me too. I wholeheartedly thank you. I can relate to it so much.I am an INFJ and I have always felt out of the place. I am a recent graduate.I have been working in a company for the last 8 months as a web developer and I absolutely hate it. I feel like people don't get me. They often see my sincerity as a weakness, my humbleness as showing off and my helpfulness as flirt. Sometimes I lie awake in bed and think about where is my life going. But I thank God for my loving family. They support me and care for me. It's really good to connect all the people who are INFJs here. We are unique and we bring joy to this world even if we are completely shattered inside. THANK YOU!!! This blog gives me hope and reinforcement that I am loved, unique and ok! We are all here for a reason! I pray that God continually uses each of us to touch others through love and compassion! I think my boyfriend is an INFJ because he always knows exactly how I'm feeling and I can't explain how he knows he just knows. Sometimes he can articulate my feelings better than I can! It's truly amazing! He always knows when I'm upset even when I do my best to hide it and no one would ever notice but he notices. He is also very intuitive about other people and I have learned to trust it. He is also the warmest and gentlest person I've ever met and he is so careful with my feelings. He is so creative and has many interests and talents. He is an incredibly intelligent and imaginative thinker. I am so grateful to know him and I have to say that INFJ's are truly amazing people and very worth getting to know! Hahaha. I always thought I am a weird kid, but when I find out that I am an INFJ and tells exactly who I am, I feel 'normal' and overwhelmed that I searched everything about INFJ. THat's why I'm here in this post. I am pretty much relieved. I'm an INFJ, and I loved seeing this post. I would really not be surprised if INFJs were highly represented among the BPD population, especially in regards to INFJs with abuse histories. That push/pull action in BPD relationships is similar to the INFJ need to be around people while still needing alone time and lots of privacy, albeit on a much more exaggerated level. I myself have been abused and have been diagnosed with borderline features. It's still difficult to distinguish between "learned" traits I was forced to adopt during abuse and my true personality at times. To the anonymous INFJ who unwittingly created a story character who fit the BPD diagnosis–I've done that, too, with a myriad of diagnoses. My characters have a tendency to be disturbed, haha. I'm also very in touch with others' feelings, but I've almost made myself pay less attention to this because I feel like others will feel like I'm prying into their heads if I talk to them while "in touch" with them like that. That's how strong that ability is for me. I also sometimes get the terrifying feeling that people can see right through me to my thoughts and feelings, because I forget most people are not nearly so perceptive as that, LOL. I'm only just now realizing the connection between that feeling and my being able to "read" people (actually it's almost more like I "EXPERIENCE" them). Perhaps you meant to say INFJ rather than INTJ as the link suggests? I get that. The same person that introduced myers briggs to me thinks I'm weird. I seem to have stumbled across this much later than most people who left a comment, but I felt compelled to because I had tears in my eyes when I read this. It described me almost perfectly. I found out my personality type is INFJ earlier this year and just knowing that there are other people who think the same way I do is a relief. I often feel that I am weird, awkward or just out of place. Anyway, it is comforting to know that I'm not the only person who thinks this way. I find these things to truly raise the hair on my neck. As someone said in a previous comment, it is actually relief to know that somehow the quirks of my personality can be quantified. Amazing, and thank you for posting the list. My family members couldn't agree more with all of it. Thank you for this. I'm 2 wks new to learning I'm an infj type personality. Your list has helped me more than you'll ever know. As I read through it, I couldn't help but cry to learn I'm not alone in the world I want to be alone in. My hope is that this information will help my husband and family understand "me" a little more now. Again, thank you for this burst of sunlight. Omg, yes to all the things in the top 10 list. Especially number 5 and number 1. INFJ to the core. Love reading these. I suddenly don't feel so alone. People are often drawn to me because of my INFJ-ness…because I understand and listen well and instinctively seem to know what they need, but it's so hard to find anyone that can reciprocate in kind and it's exhausting! Thank you all for sharing your stories. Ouch – Hitler? Osama bin Laden? Ayatolla Khomeini? I don't want to be in that group! Fantastic! This is honestly one of the best articles I have ever read on being an INFJ. I want to quote some of the above and note how closely you have described me, but so much of it is so potent! Kudos on writing such an apt description so succinctly. Oof. It feels so good to be understood. I will read this often. Thank you. I am an INFJ and I agree that this is a great list. Now how can I use this information to improve something.. ? I discovered that I'm an INFJ three years ago. I don't want to criticize your list too much. However, I will say that I don't like it when INFJ's speak for ALL INFJ's, telling about how INFJ's are this or that. I think it's wrong. I would only ever speak for myself. Actually, I resent such lists. Yes…. yes, yes, yes. This is SO me. My fist thought was, "Oh, I should share this with friends!" My immediate second thought was, "Gosh that feels rather revealing." My third thought, of course, was self analyzing, "Wow that was quite the INFJ response." I think INFJs go through phases. I always wondered why I was, seemingly, an extrovert in high school. I had a TON of very close friends! In college, and even moreso in adulthood, I find it impossible to make a connection with anyone. I realized that all of my friendships in high school were deep and meaningful at the time. We talked about things that mattered. I got a rush from truly getting to know new people and they seemed to feel the same. But as an adult, all interaction is shallow. I like alcohol, but drinking and going to parties isn't my preferred method of social interaction. I like conversation and shared interests. Otherwise, it all feels so pointless and like a waste of time and energy, you know? Of course you know. All of you fellow INFJs posted pretty much EXACTLY what I was thinking as your comments! 🙂 I truly wish there were more of us. Another thing to note is that when an INFJ puts a lot of effort into a relationship and they really care about the person (particularly long term friendships) it is absolutely devastating when that person hurts them. It's much harder to trust people or pretend to be an extrovert, so to speak, and the inner voice in your head criticizes every word of your conversations ten times more. I wonder when it will end? I'd like to be back to my old self again. Anonymous March 24, 2014 at 1:50 AM, that is exactly why am here too. Before finding this site and reading all the information above, I honestly thought I was abnormal person. I am an INFJ, I know this. Not just because of the information I've just read, but because of a few lines that really captured my eyes. "Without any explanation as to why, we can feel the feelings of everyone around us as deeply as though they were our own". This happens everyday, when people ask me how I am feeling. I find it difficult to respond, because I am a private person. Also I can feel what other people are feeling, sometimes that leaves me confused, because I'm not sure of how I'm feeling. If that makes any sense. Thank you, to Jennifer, for posting this. I now know there are others like me and they understand. i have always questioned my very own sanity, and even thought maybe i should be seeking help because that is something ive heard others say towards me. i feel alone so often, but on the other hand i love the feeling of feeling alone in this world. some people see me as depressed.. while im not depressed- i do admire depression and i enjoy sadness, i like to cry. my abstract and complex mind tend to freak people out, causing alot of people to give up on me. sometimes i enjoy when they do so because it tells me over and over that i am so unique and i LOVE that feeling. i tend to question anything and everything. i even question my questionings of things and the depths of my thoughts and of others. i also tend to zone out- stare off into space for even hours at a time and i just think. i think about indescribable things and i feel as though if any one person wanted to figure me out.. it would take years of explaining. i barely can figure myself out and i often question my own ability to do so. my thought are a full circle of observing, viewing, finding, thinking, analyzing, questioning, discarding, and/or putting in a safe place. some of this does not even makes sense to me, thus showing that even i do not understand, and ive been questioning myself while typing all of this. Thanks god, that I read this. I am not alone now. I score as INTJ but with only 1% T over F. I identify pretty well with both, but after reading more I think I am probably more INFJ. Iam extremely intuitive, and I also care and empathize with others in a way an INTJ (or anyone I know) wouldn't. A while ago my heart was broken in a very cruel way by someone I saw not just as my love, but also my best friend. I guess maybe I am still a bit too traumatized by that to dare to embrace my F-side again. haha. sound like you know what I think too. I am going to print this out and carry it around with me! 100% accurate! I feel so happy to discover and read about INFJ's. I feel understood and not so alone, but even more alone at the same time. I shared this on my facebook, but probably no one will get the importance of why I posted it. Facebook is not the best place for me, but I have to keep trying to share myself with others, even if they don't understand! I come from similar circumstances and have the same experiences as you with those who are weak and helpless. Thank you for sharing ! Numbers 8, 1, and 2 are all so on point for me personally. I'm an INFJ. Actually I didn't care being normal or not in fact I enjoy being different but I suffer a lot because of my idealism having high expectations isn't always a good thing most of the time I end up depressed and disappointed so I became pessimistic and I also give up so easily. I found this list somewhat puzzling. I have known a few people who are INFJ (including my mother in law) and this does not jibe with what I have observed. There is a level of self absorption and blindness to their own faults that is interesting. Every forum that has INFJs describing themselves is similar to this one. "No one knows how special/wonderful and smart I am". I am not intending this as an attack, but as a dispassionate assessment of the type. I find my mother in law, while intelligent and possessing of some wonderful qualities, to be very illogical and conspiracy minded. She is secretive, materialistic and sometimes paranoid. She avoids responsibility with emotional games and seems to take pleasure in rehashing perceived wrongs from the past. She prefers pseudoscience over quantifiable data. – But if you were to have her give you a description of herself it would be very close to what you have listed. I am female and am classified as INTP, but I have come to respect the wisdom and warmth that many feelers have, but my experience with people of this type has left me with the impression that INFJs see themselves very differently than the people around them do. I will check it out. I realized I did not proofread that post. I apologize for the grammar. (Although you were too nice to mention it! Lol) It is funny tho, I am actually quite fond of my mother in law. When she is not being self absorbed, she is a great listener and gives very good advice. She has a wealth of bible knowledge and uses it skillfully. She is by no means an awful person, neither are the other 2 people I have in mind, but their treatment of others just seems very inconsistent with their self view. The tendency to envy and believe others do not deserve something they themselves don't have is a common theme. As is the grudge holding. Both are things i have a hard time understanding logically. Once something is over for me it is done. She (and others of this type) seem to hoard negative emotions and experiences and still feel as strongly now as they did 10, 20, 40, years ago. Maybe I am just not understanding enough. Now I know why I always have problems forming my thoughts into words. I always tell people "I see the picture, but I don't have the words." Omg im so happy to know that theres other people like me in the world. I used to feel kind of lost. Its especially annoying because im only still a 15 yr old girl so most people my age just arent understanding. I only have one friend that understands me partly, and no one els does. I wish i could stop being as quiet tho, so then i could share my thoughts with more people rather than just those in my friendship circle. Well, an INFJ has big dreams and that's a fact. However, the real question is, what dream are you planing for to change the world? I would like to hear about your dreams and plans. Thank you. I amplanning on moving to Detroit after I achieve my counseling degrees. There I hope to help those who are impoverished get into the lives they want. I stumbled across this today. #1 is so TRUE……………. That is so true of classical music, and also art. There is a power there that shoots straight to the heart and soul. It has the ability to expand on what words can not touch upon. I believe you must be an Infj to experince this power because there is no boundries for our type in the way of feeling. We are entirely permeable in every way. What is painful to us in the way of feeling what others feel as our experience and carrying the burden of that, is also a gift when it comes to experiencing art. We are the only type to recognise the full depth of humanity as it is expressed through art or music. That is our joy. Yay!!!!!!! I am NOT alone in the world! Also thought something was wrong with me most of my life- I was always different from other people, felt like I didn't belong. I feel peaceful knowing that it is indeed my personality type and that there is nothing wrong with me! I've always struggled to figure out who I am because I've always felt out of place with other people…the only person I could ever feel my true self with growing up was my best friend who is also an INFJ. Both of us have always felt so isolated from everyone else but so happy to have eachother. But anyway I've been on a frenzy the entire week researching different personality types and the second I read the INFJ profile I immediately knew and started crying. I feel like with this assurance of knowing who I am and that I'm not alone will help me to grow as a person. This article had me in tears. There are no words to describe how much of a relief it is not to be alone. Reading this put the biggest smile on my face, thank you! This article literally says everything I could possibly want to say about myself. Especially four. And kinda nine as well. There's nothing quite like finding out you aren't just a weirdo. Thank you so much for this article. as an INFJ with an experience to express a great magnitude of love to selectively one person , it is hard to re-enact the same feeling for another. Of course I'm talking about a lover , but with friends.. male friends.. you can't "love" them entirely , because that includes intimacy. You can deeply respect and trust your male partners, just have to find the right ones. I'm an INFJ have been walking this world for many years. I have many things to tell you to help you other INFJs as you walk your own journey. First, your life will be full of gems. People have looked me straight in the face and said "You live this amazing life," which still catches me off guard. Your search for meaning will take you beyond the confines of your safe space if you let it. Don't be afraid to. The world is full of experiences which you can internalize in ways other people can't. The growth you will receive from international experiences will be the diamonds you will hold in your mind forever. These experiences are what give you drive and meaning. Your democratic nature and egalitarian ideology brings people together. The world, really, is yours to feel more than any other type. People will love your wisdom and insightfulness. Your depth is astounding, and I still amaze myself. Second, it will be hard for you to pick a career. Because everyone else is picking one, the pressure makes you think you need to; but for you, a career is not what you want. You are what you do. Feel things out, work different jobs for a while and you'll become your career. Be careful of school, you can take it too far. Get a undergrad, but put off grad school until about 30, if you even need it. Unless you go into law or medicine of course. Law, do something with the environment or helping the meek and poor. Medicine: clinical psychiatry for sure. That may actually be our true calling in fact. Other jobs you might like: project manager, writer, journalist, teacher, and counselor. Look for managers who are pro-active and train and NOT sink or swim types. Ask this at interviews. Third, watch your spending. Your dream worlds can take you away from reality. Grounding yourself is a chore, but be careful on taking loans, particularly college loans. Money is ok to have, you’ll learn this. Think about the future. A 401k plan is enough, or a CD, or an IRA. Fourth, your relationships will be hard. Real hard. Mostly because you choose the wrong types. Don’t fall in love so easily. Do your due diligence first. Feel them out before you jump onto the love wagon. You absorb emotions and love is your favorite, so that makes you gullible. You need to give relationships time. Be careful with the extroverted, sensing types. You are attracted to them because they embody what you lack. Choose the right type, and it’s bliss. What makes relationships harder for you is you’re introverted, wallflower characteristics. You don’t make the first move, particularly in your own culture. The fact is almost every type falls for you, at least initially. Your caring and warm nature is very appealing. That’s hard to overcome, but just do it. You have to play the numbers game instead of hoping to throw the dice once and hit the jackpot. You need to get out and mingle. The best way to do this is to join social clubs … hiking club, dance clubs, wine tasting clubs, art meet-ups, places that have small and intimate gatherings where you can meet people. But be careful about your strong and overbearing nature. You don’t mean to… your organization skills and planning are superb, but not always welcome in the lives of others. Planning is good, but maybe keep a bit of it to yourself. Some people like spontaneity. Stop asking every few days if everything is ok or to get reassurance. If they say it once, take it internally as concrete and leave it. Furthermore, make more of an effort to break away from bad relationships. It sounds and seems hard, because your relationships are so strong and bonding, but once you do, you’re over it in minutes. That is one of your greatest assets. You can move on at lightning speed, but getting you to quit is like pushing a boulder uphill. Fifth, follow your gut instinct. Sixth, stop being so judgmental. This drives people away. People confuse it with arrogance. Do it in your head, not with your voice, unless asked. Also, listen to others’ input more often. This angers people. Listen to the plan and you might like it. Seventh, EXPLAIN WHAT YOU ARE TO PEOPLE. Let them know you need downtime to recharge. People don’t get you, but really like you when they get to know you. So just be upfront and say you’re quiet and introverted but when you get to know people you are a lot of fun. Tell people you like criticism, but not in a direct, military way. This direct, strip down method is why you have low self-esteem, which will go away as you emerge from high school. Tell your boss/manager, “I look for criticism, but give it to me in a way in which I can grow. Such as, ‘Hey Johnson, the specs are great. Now let’s see how we get you to grow on the performance report,’” where of course the performance report is where they want to criticize you. Eighth, learn to talk about the mundane. What Shirley did last week at work or how Linwood is getting divorced. Your super intellect scares the hell out of people. Eventually you can talk about the effects of Watergate on the national character. But move slowly. Ninth, let’s talk about religion. You think you hate it, but it is a big part of your understanding of the world. What you hate are the rules and fear it offers. Organized religion is not likely your thing. So go right to the word, the teachings, and skip what others are saying about religion. You know they are likely frauds anyway. And you can figure out the meaning more than anyone… Jesus, Gandhi, those that empathize and help, they are INFJs like you. You want the meaning. Your goal is to get to the end. Heaven, moksha, liberation, you know church won’t do it. So engage it your way. That’s a start for you INFJs. You will have an exciting life, if you break out of the norm and build your path. You’re not odd, your extraordinary in a world of the average. You will see things few people can, you will have relationships so deep people will cherish you, and wisdom and sage like ways will inspire. But stop and think about yourself, too. You matter a lot. Remember, the force runs stronger through us than any other type. I appreciate this post. I rang true for me quite a bit. 1) You are not QUITE as rare as you believe. My INFJ type counselor, Vicky Jo Varner of Type Insights (also see INFJ.com), points out there are no reliable statistics as to how abundant any of the types are, but that INFJ abundance is probably underestimated. It is hard to account for the number of INFJs in the literary field, for example, if INFJs are as rare as many think. 4) Get over yourselves, some of you. (Natural reaction of some ENFPs to some INFJs, probably.) You're no more – and no less – special than people of any other type. The better one understands both oneself and others, the more one sees this is true and rejoices in it. We ENFPs can have our own brand of arrogance, trust me, so I speak from experience here and am grateful to Vicky Jo for giving me the keys to appreciate everyone's gifts for what they are. The humility this brings is priceless. So is the ability to help others where they are. 5) EVERYBODY rejoices, no more and no less than some of you here, when they discover what their "core type" really is. (That's something Vicky Jo can tell you about as well.) The MBTI mistyped me for 30 years as an INTJ. INFJ was an alternative I considered for my own reasons. Vicky Jo had to lead me out of those misconceptions very carefully. I look back and see these were adopted roles which nevertheless didn't and couldn't suppress my fundamental ENFP-hood. Even as a child, I manifested all the signs – even in photographs, if you know what to look for. It is interesting that every type wants to remake Jesus Christ in their own image. Some claim He is an INFJ; some, an ENFJ; and so on. The truth is, He transcends type. That is why there are Four Gospels, not one. Each Gospel views Him from a different temperamental perspective. In a symbolic way, this is understood by the Eastern (Aramaic) Churches via the connection with the figures of the Four Living Creatures (NF Man/Matthew, NT Eagle/John, S_P Lion/Mark, S_J Ox/Luke). When the Pharisees brought a woman caught in the act of adultery to Jesus, in John, they were laying a trap after the ENFP/ESFP style. Jesus engaged them as if He were an ENTP (not an INFJ or ENFJ) and outmaneuvered them. But elsewhere in the Gospels, He takes on different "type roles" with equal ease. But that is exactly what one would expect if Jesus Christ were who and what He said He was: the Son of God. God isn't limited by human notions of type. Jesus Christ manifestly was not, even as a human. Still less is He now. I'm not even tempted to say He was an ENFP like me when human. Paul, yes; Solomon, yes; Hosea, yes. Not He! I know Him too well for that. > Remember, the force runs stronger through us than any other type. Whatever that is supposed to mean symbolically, it is worth challenging in real life. First, in actual testing of ability to foresee future events accurately, ENFPs rate the highest of all the types (my INFJ type counselor brought that research to my attention). It may have to do with our Ni being Oppositional rather than Primary. Overall, E-types rate better than I-types on that test (predicting the random, machine-driven turn of a card), Fs better than Ts, Ns better than Ss, and ENFPs edging out everyone else, even INFJs. On the other hand, we ENFPs could say something similar to what you've said if we focused as much on our Primary Ne as some of you focus on your Primary Ni. Ne, trust me, is not less compelling for us – and not less easy to confuse with real spirituality – than is Ni for you. It is simply a mirror-image function. I needed this, I always felt different because everyone thinks I’m crazy but I now know I’m not. I plan everything out first, I can take 10 recipe variations and figure out which parts of each recipe makes the most sense and create one perfect recipe. I may take 6 months outlining a diet that has to have the correct amount of calories, fiber, carbs, protein and fat before I start it, then after its perfect I do it and it works (so ultimately it takes me 6 months to prepare to lose twenty pounds in one month). I can be on YouTube for 24 hours straight to learn about something then the next day institute a plan, do it, feel content about my accomplishment for three days, then think about how to make it better or just move on to the next 24hour learning thing. I hate being in crowds but I love one on ones. I love everyone and can always rationalize why they did this or that without it being personal. I may get my purse snatched and say, they must have been desperate for money because they don’t have a job because they got laid off and have no food in the fridge, thanks for just snatching my purse and not killing me because my grand-daughter and husband would be so hurt if I weren’t there to help them see the bigger picture. Random, I know. If I pick up a book to read I first look at how many pages it has and divide that by how many days I want to take to read it then write that number down at the front of the book (because the number may get lost in the 50,000,000 other numbers running around in my mind) and then read …….. Number of pages in ……. Number of days. I love and need to be by myself for at least 8 hours of the day to release random thoughts such as these or write down what I can do better or how I can touch or help someone. If we’re in the car I may not talk because I’m listening to each beat of the song, imagining I was there in the studio when the song was being made, imagining what the musician was thinking and feeling as he was penning the song. I may talk to you in the car but you must engage me with deep thoughts not surface thoughts, if you go on and on and not let me talk and educate your mind to the bigger picture your not getting I will get bored and start thinking about what you would do if I opened the car door and jumped out while the car was moving. Lol, lol that’s not funny but it is true. I hate the tv being on 24 hours a day it makes me crazy. I need to hear nothing but birds chirping, wind blowing, or rain falling on the ground for at least 1 hour in the morning before I get out of bed because it declutters my mind for the day, or at least for that hour. I will put that in my daily schedule. (6am wake up and open the window right above my bed and lay there and look at the ceiling for one hour and listen to the birds, 7am take pills,and pray 7:05 ????? You know how it goes. I accept that this is how my mind functions, this is how it thinks, processes, recharges itself, I’m ok with that. I’m ok with myself now that I know that I’m just unique. Do i know you ??? Have you been spying on me ?? SHOW YOURSELF !!!!! ?